The purpose of the suspension of an automobile is to allow the wheels to move vertically with respect to the body, it is undesirable to allow them to move forward and backwards, or side to side. The Panhard rod is designed to prevent lateral movement. This is not to be confused with a traction bar which controls axle wrap and suspension loading. 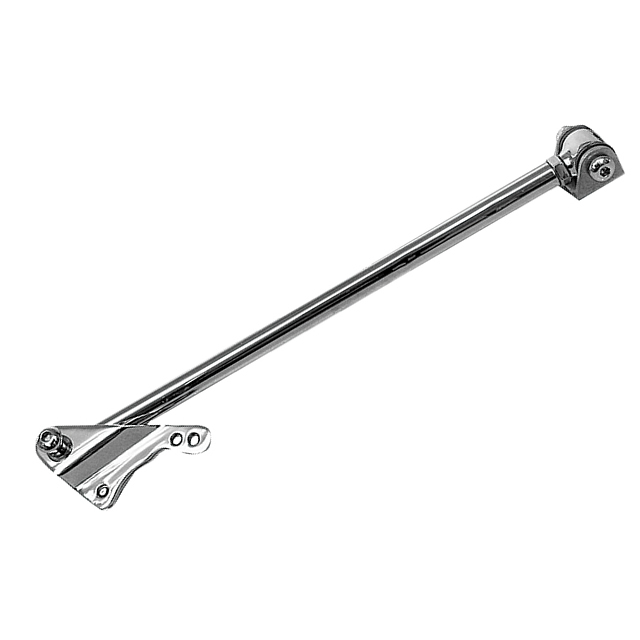 The track bar or Panhard bar is a simple device, consisting of a rigid bar running sideways in the same plane as the axle, connecting one end of the axle to the car body or chassis on the opposite side of the vehicle. The bar is attached on either end with pivots that permit it to swivel upwards and downwards only, so that the axle is allowed to move in the vertical plane only. This is not usually used with a leaf spring suspension, where the springs themselves supply enough lateral rigidity, but only with coil spring suspensions. 1932 Ford Bolt-On Plain Steel Panhard Bar Kit with brackets and hardware. A rear Panhard Rod is used to control the lateral movement of the rear axle. It must be used when using a parallel 4-Link suspension kit. Bolt-on and weld-on models are available. Includes axle bracket, bar with stainless adjuster, urethane bushings and frame bracket. 1933-1940 Ford Bolt-On Plain Steel Panhard Bar Kit with brackets and hardware. A rear Panhard Rod is used to control the lateral movement of the rear axle. It must be used when using a parallel 4-Link suspension kit. Bolt-on and weld-on models are available. Includes axle bracket, bar with stainless adjuster, urethane bushings and frame bracket. 1933-1940 Ford Bolt-On Stainless Steel Panhard Bar Kit with brackets and hardware. A rear Panhard Rod is used to control the lateral movement of the rear axle. It must be used when using a parallel 4-Link suspension kit. Bolt-on and weld-on models are available. 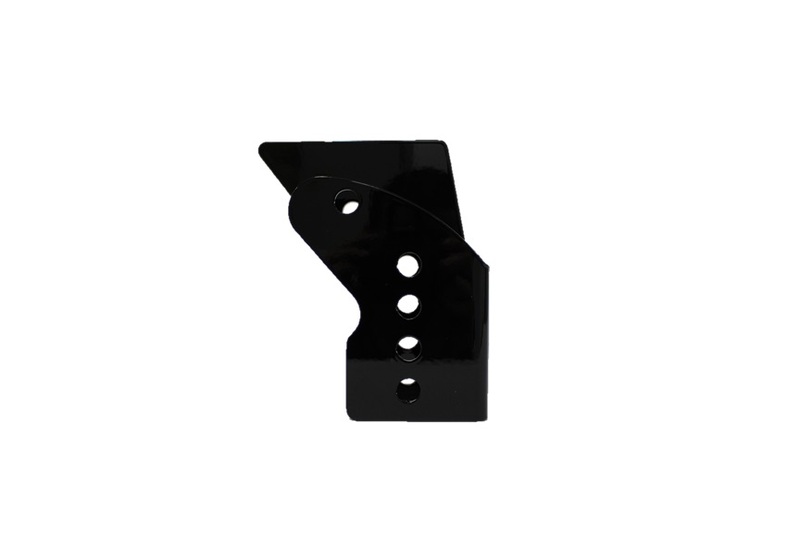 Includes axle bracket, bar with stainless adjuster, urethane bushings and frame bracket. 1947-1954 Chevy Pick-up Weld-On Plain Steel Panhard Bar Kit with brackets and hardware. A rear Panhard Rod is used to control the lateral movement of the rear axle. It must be used when using a parallel 4-Link suspension kit. Bolt-on and weld-on models are available. Includes axle bracket, bar with stainless adjuster, urethane bushings and frame bracket. 1947-1954 Chevy Pick-up Weld-On Stainless Steel Panhard Bar Kit with brackets and hardware. A rear Panhard Rod is used to control the lateral movement of the rear axle. It must be used when using a parallel 4-Link suspension kit. Bolt-on and weld-on models are available. Includes axle bracket, bar with stainless adjuster, urethane bushings and frame bracket. 1947-1954 Chevy Pick-up Bolt-On Plain Steel Panhard Bar Kit with brackets and hardware (8" and 9" Ford Housings only). 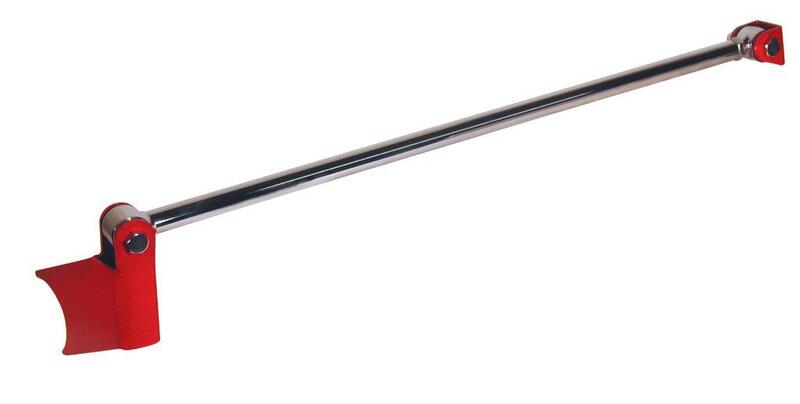 A rear Panhard Rod is used to control the lateral movement of the rear axle. It must be used when using a parallel 4-Link suspension kit. Bolt-on and weld-on models are available. Includes axle bracket, bar with stainless adjuster, urethane bushings and frame bracket. 1947-1954 Chevy Pick-up Bolt-On Stainless Steel Panhard Bar Kit w/brackets and hardware (8" and 9" Ford Housings only). A rear Panhard Rod is used to control the lateral movement of the rear axle. It must be used when using a parallel 4-Link suspension kit. Bolt-on and weld-on models are available. Includes axle bracket, bar with stainless adjuster, urethane bushings and frame bracket. 1982-1992, 1993-2002 Camaro and Firebird non adjustable panhard bars. Alston tubular design panhard bars replace the factor u-channel style helping to provide more chassis stability. Energy suspension bushings resist deflection keeping the housing centered and improving corning capabilities. Classic Truck Bolt-On Plain Steel Panhard Bar Kit with brackets and hardware (8" and 9" Ford Housings only). Intended for all classic trucks except for the 1947-1954 Chevy Pick-Up. A rear Panhard Rod is used to control the lateral movement of the rear axle. It must be used when using a parallel 4-Link suspension kit. Bolt-on and weld-on models are available. Includes axle bracket, bar with stainless adjuster, urethane bushings and frame bracket. 1928-1931 Model A Bolt-On Plain Steel Panhard Bar Kit with brackets and hardware. A rear Panhard Rod is used to control the lateral movement of the rear axle. It must be used when using a parallel 4-Link suspension kit. Bolt-on and weld-on models are available. Includes axle bracket, bar with stainless adjuster, urethane bushings and frame bracket. 1928-1931 Model A Bolt-On Stainless Steel Panhard Bar Kit with brackets and hardware. A rear Panhard Rod is used to control the lateral movement of the rear axle. It must be used when using a parallel 4-Link suspension kit. Bolt-on and weld-on models are available. Includes axle bracket, bar with stainless adjuster, urethane bushings and frame bracket. Universal Bolt-on Plain Steel Panhard bar with brackets and hardware. A rear Panhard Rod is used to control the lateral movement of the rear axle. It must be used when using a parallel 4-Link suspension kit. 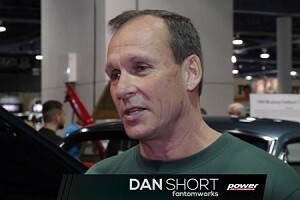 Bolt-on and weld-on models are available, but bolt-on models are for Ford 8" and 9" rears only. Includes axle bracket, bar with stainless adjuster, urethane bushings and frame bracket. Universal Weld-on Stainless Steel Panhard bar with brackets and hardware. A rear Panhard Rod is used to control the lateral movement of the rear axle. It must be used when using a parallel 4-Link suspension kit. Bolt-on and weld-on models are available. Includes axle bracket, bar with stainless adjuster, urethane bushings and frame bracket. 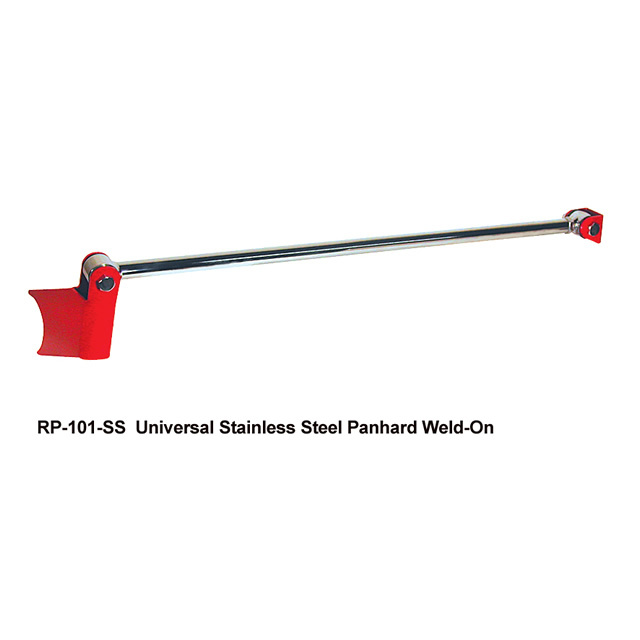 Universal Weld-on Plain Steel Panhard bar w/brackets and hardware. A rear Panhard Rod is used to control the lateral movement of the rear axle. It must be used when using a parallel 4-Link suspension kit. Bolt-on and weld-on models are available. Includes axle bracket, bar with stainless adjuster, urethane bushings and frame bracket. 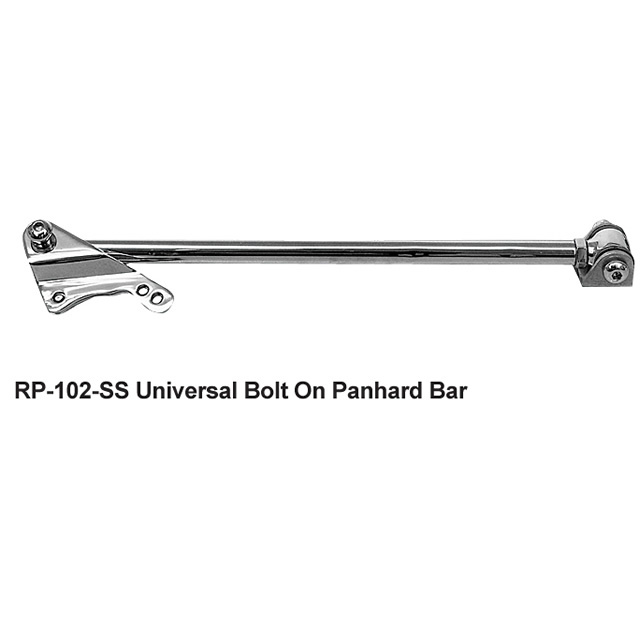 Universal Bolt-on Stainless Steel Panhard bar with brackets and hardware. A rear Panhard Rod is used to control the lateral movement of the rear axle. It must be used when using a parallel 4-Link suspension kit. Bolt-on and weld-on models are available, but bolt-on models are for Ford 8" and 9" rears only. Includes axle bracket, bar with stainless adjuster, urethane bushings and frame bracket. Classic Truck Weld-On Plain Steel Panhard Bar Kit with brackets and hardware. A rear Panhard Rod is used to control the lateral movement of the rear axle. It must be used when using a parallel 4-Link suspension kit. Bolt-on and weld-on models are available. Includes axle bracket, bar with stainless adjuster, urethane bushings and frame bracket.